I was pleased to stumble across personal finance advice in a very unexpected place – a book on the Paleo diet/lifestyle. 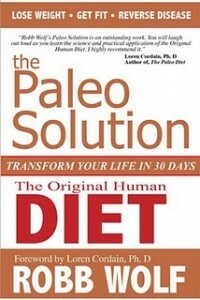 I’m considering “going Paleo” so I’m currently reading The Paleo Solution: The Original Human Diet by Robb Wolf (affiliate link – thanks for using!). I knew that the Paleo lifestyle advocates getting lots of quality sleep and wasn’t surprised to find a whole chapter devoted to cortisol. Basically it just explains how we evolved to use cortisol and how the various stresses that our modern life has added have altered our cortisol patterns to be low in the morning and high in the evening (the opposite of what they should be). Getting enough sleep goes a large way toward righting our cortisol levels. At the very end of the chapter was a section titled “Do You Own Your Things, or Do Your Things Own You?” And, wow! An evolution-based argument for minimalism and balanced money management. The author admits that this way of thinking is rather “life coach”-y and soft science, but feels there is merit to it nonetheless. If the Paleo lifestyle is about mimicking the way our ancestors ate, slept, and expended energy so that our genes don’t work against us, we should take note that our hunter-gatherer ancestors did not have a bunch of stuff and they certainly didn’t obtain what they had on credit. What are you thoughts on minimalism or at least staying debt-free as they related to stress and cortisol? 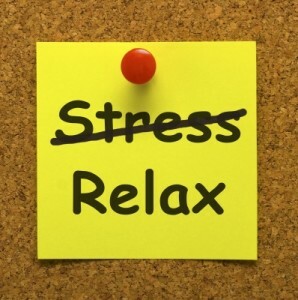 Have you made a concerted effort to reduce your stress for health reasons? What Are You Gazelle Intense About? One Response to "Paleo Personal Finance"